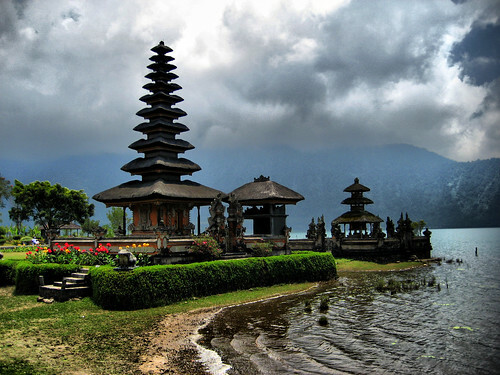 Bali, Indonesia is one of the best tourist destinations in Asia. This is mainly due to the fact that Bali, the famed Island of the Gods, has beautiful natural attractions that include miles of sandy beaches, picturesque rice terraces, towering active volcanoes, fast flowing rivers, deep ravines, pristine crater lakes, sacred caves, and lush tropical forests. The island is also well-known for its rich cultural heritage which is apparent everywhere, from its over 20,000 temples and palaces, colorful festivals and ceremonies, and also in music and the arts. Bali is best experience through many different excursions and guided tours by coach, private car or “Big Bike”, by boat, and by planes. Sights to see not only include its pristine white beaches and rice terraces, but also the famous Besakih temple on the slopes of the holy mount Agung, and Lake Batur and its active volcano. There is also Ubud, Legian, Kuta, Seminyak, Nusa Dua, and a helicopter ride to view the magnificent temples of Tanah Lot and Ulu Watu. Ubud, a town in central Bali, is a hub of artists’ workshops and galleries. Named as a cultural center since the 1930s, it is now a fast-growing town with numerous art galleries that offer paintings, wood carvings, textiles and all kinds of souvenirs. For those who want to experience something laidback, Legian is a low-key area where the surf is great and prices are comparatively lower. 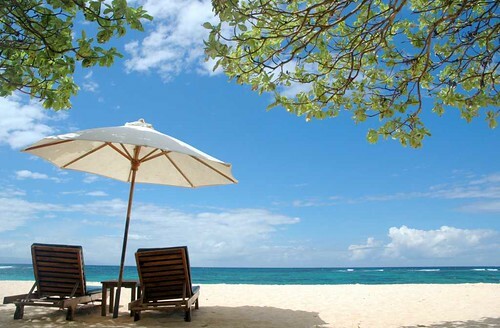 Kuta, the most recognized tourist destination in Bali, was originally discovered as a surfer’s paradise. Today, it is a popular stop for backpackers en route to Southeast Asia. Seminyak, the next town north of Legian, caters more to the upscale market because of its luxurious accommodations and fashionable high-end restaurants and bars. It is also the spa and boutique shopping capital of Bali. Nusa Dua is known as the tourism district in Bali as this not only host luxury hotels, but is also home to the most popular golf course and the main convention center in the island. There is a lot for everyone in a Bali holiday. Children, as well as their parents, will surely enjoy watching the performance of the Barong and Kris dance. Families, friends, honeymooners, groups or a solo backpacker can enjoy various Bali holiday packages which include the Kintamari volcano tour, the “Mother Temple” and East Bali tour, Bedugul tour, North Bali tour, Monkey Forest and Tanah Lot tour, and the Handicraft Villages and Ubud tour, and a whole lot more. Eating out will not also pose a problem as Bali is known for its wide variety of cuisines as well as the most popular Western fast food outlets.